Posted 9:28 am, Dec. 7, 2018. It’s hard not to notice the hundreds of cranes dotting the downtown and midtown skylines of Nashville. 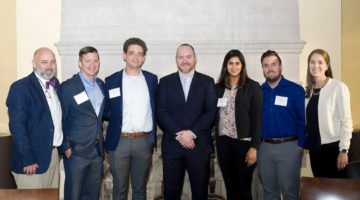 As the city becomes a national and international destination for tourism and business, the next generation of real estate leaders is being trained right here at Vanderbilt Business. Like greater Nashville’s economy, interest in real estate from current and prospective MBA students is booming. The Owen Real Estate Club, which assists students with academic services, networking and career development, achieved record enrollment in 2018. 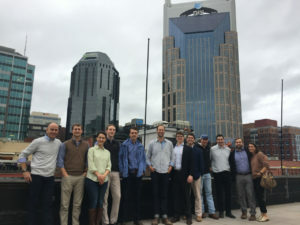 Members joined from all over the world, some with substantial real estate experience and others with none, in search of a common goal: to help shape Nashville’s skyline. Like many of my classmates, one of the reasons that I came to Owen was to play a part in the growth of Nashville. 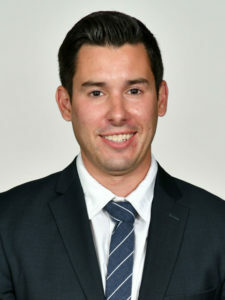 I spent the previous six years working in commercial real estate securities in Chicago and was fortunate to earn a real-world education in the intricacies of the market. However, I knew that I needed to continue my education in order to graduate from an analyst role to a leadership position. 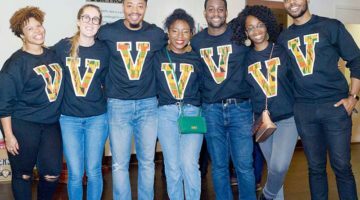 I was immediately attracted to the dynamism of Nashville and the global brand recognition of Vanderbilt, as well as the sense of community at Owen. Since I started at Owen in the fall of 2017, I have been fortunate to work both an in-school and full-time internship in Nashville. Both roles were sourced through school and involved working directly for an alumnus of the MBA program. They were each invaluable in helping me build a local network and a great supplement to my classroom experience. Unlike most other fields of study within the finance department, real estate involves a tangible asset, so I was able to interact with the properties I was underwriting on a weekly basis. Owen alumni have their fingerprints on every major development ongoing in the city. As a result, the Owen brand recognition is unparalleled. Most importantly, the alumni community is incredibly close-knit, and eager to onboard student leaders with independent study projects, internships and full-time employment. In a business that is still largely relationship-driven, it is important for students to start building these relationships prior to graduation. Unlike the traditional hiring process, which places groups of students into “classes” as early as a year prior to their start date, most real estate jobs are sourced on a “just-in-time” basis. As a result, maintaining strong relationships with alumni and local industry leaders is key to desirable job placement. The leaders of the Owen Real Estate Club are committed to helping current and prospective students achieve their goal of entering the industry. We offer a variety of events in each semester, including an Industry Speed-Dating Night, local property tours and academic & career guidance. All the real estate professors are adjuncts, meaning that they work in the industry full-time and teach part-time. As a result, students have unparalleled access to the inner workings of many local companies and frequent classroom networking opportunities. 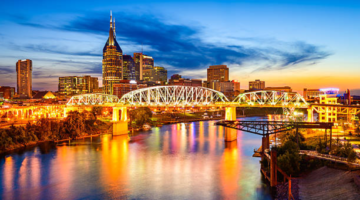 Core coursework includes a mix of investment & development concepts as well as a multitude of guest speakers and site inspections, often involving the most-newsworthy developments in Nashville.